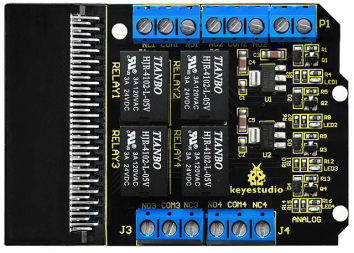 Keyestudio relay breakout board for micro:bit has integrated a 4-way 5V relay module, fully compatible with micro bit development board. 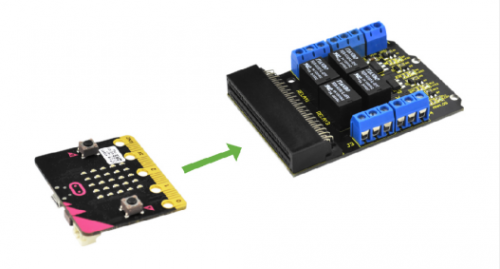 It can work by inserting micro:bit into keyestudio relay shield, then inputting DC 5V voltage on the relay VIN GND port, pretty simple and convenient. 4-way relay on the board is active high. 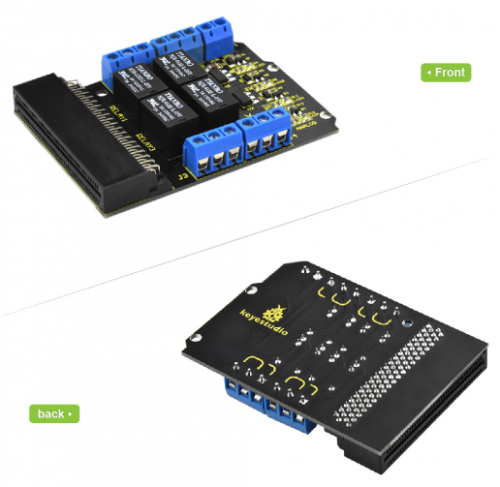 Its control terminals are respectively connected to P4, P3, P7 and P6 of the micro:bit development board. 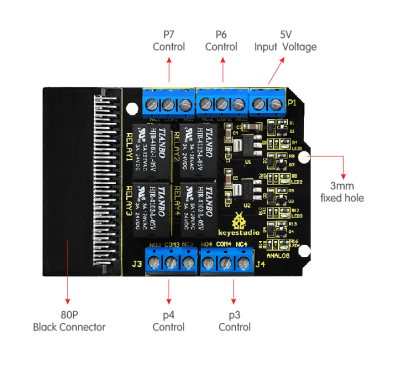 You only need to control the high or low output level of P4, P3, P7 and P6, thus control the 4 relay on/off. 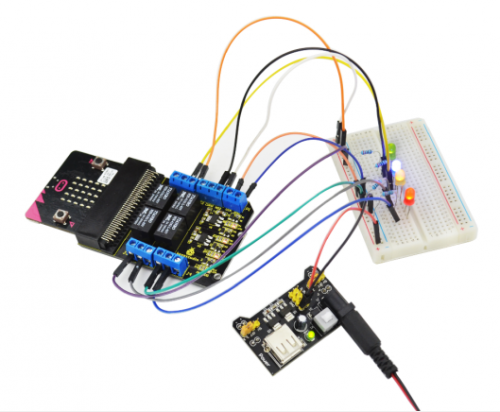 Insert micro bit development board into keyestudio relay breakout board. Wire it up well and powered up, note that here we use a power transfer module in order to supply voltage input 5V. 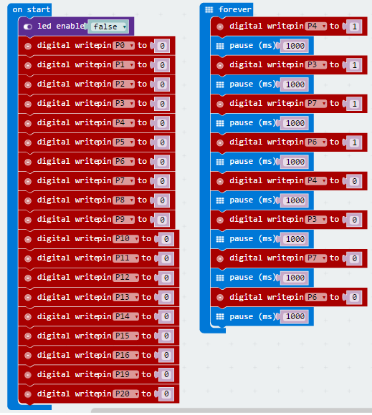 Finally the leds on 4-way relay breakout board are connected and then disconnected one by one, and the external LEDs are on and off one by one, circularly. Note that the display accessories Not Included in the shipping list. This page was last edited on 7 March 2019, at 15:11.